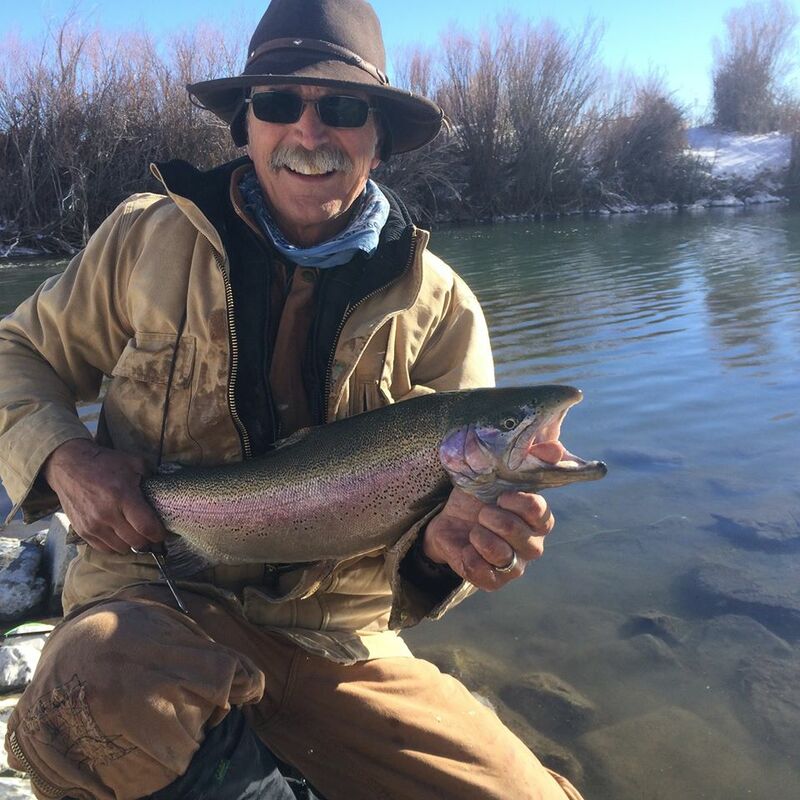 Elko Fly Shop is northeast Nevada's only full service fly shop carrying a full line of fly fishing and fly tying equipment, supplies and gifts. Located in Elko at the base of the Ruby Mountains with many underutilized alpine lakes, mountain streams and the best high desert reservoirs available to the public in Nevada. 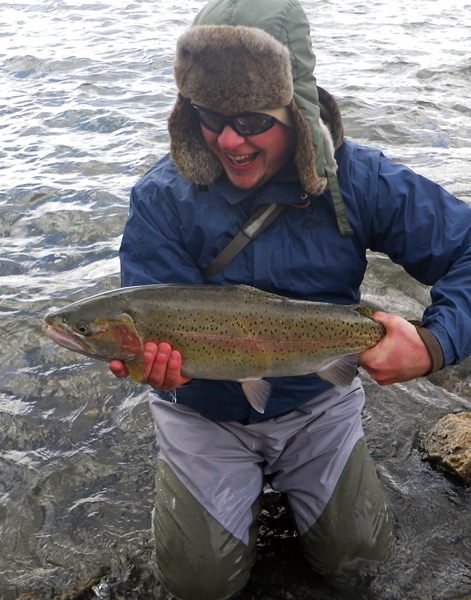 Micah Lauer of Boise, ID witha very healthy Wild Horse rainbow. Elko Fly Shop is located near the Star Restaurant at 310 Silver Street. If you are coming in from out of town, feel free to give us a call at 775-934-4565 for current water and fishing conditions.